Friday, July 29th, 2016 at 12:14pm. Santa Fe Living Magazine is your guide on where to live, dine and explore in The City Different. Grab a copy today in racks all over town! This weekend enjoy Spanish Market, as well as all the other great sights and sounds in The City Different. Santa Fe Plaza 65th Annual Spanish Market features handmade traditional art from over 250 local Hispanic artists. This is the best place to buy authentic retablos, bultos, pottery and so much more! Tuesday, July 26th, 2016 at 2:30pm. 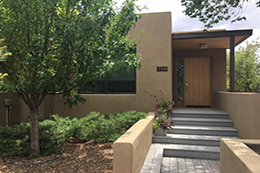 This Friday, Santa Fe Properties' duo-extraordinaire Sue Garfitt and Fred Raznick present the Eldorado Special Tour - featuring 12 amazing area homes. "Eldorado is the hottest part of Santa Fe's extended family," asserts associate broker and tour coordinator Sue Garfitt. According to Garfitt, Eldorado offers versatility of home prices, architecture and landscaping, as well as mountain vistas to take your breath away. "Plus, there's nothing quite like sharing your morning coffee with an antelope or bobcat in backyard," says Garfitt. We'll see you Friday on tour! Friday, July 22nd, 2016 at 12:28pm. Santa Fe Living Magazine is your guide on where to live, dine and explore in The City Different. Grab a copy today in racks all over town! Lots of great music all over town this weekend. Have fun! One of the world’s preeminent music festivals, dedicated to artistic excellence & innovation. Friday, July 15th, 2016 at 3:46pm. The City Different’s uniquely immersive ‘calendar of events’ is enriched by its connection to the deep historical roots that have established Santa Fe as a world renown artistic, cultural and recreational Mecca. From International Folk Art Market to Fiestas, everything happening here is uniquely Santa Fe. With so much to do and see, it’s hard to know where to begin. Here’s what's going on this weekend. Don’t forget the sunscreen. Saturday the 16th is opening night for Romeo et Juluette! The 60th season also features Don Giovanni, Vanessa, and Capriccio. Friday, July 15th, 2016 at 3:28pm. 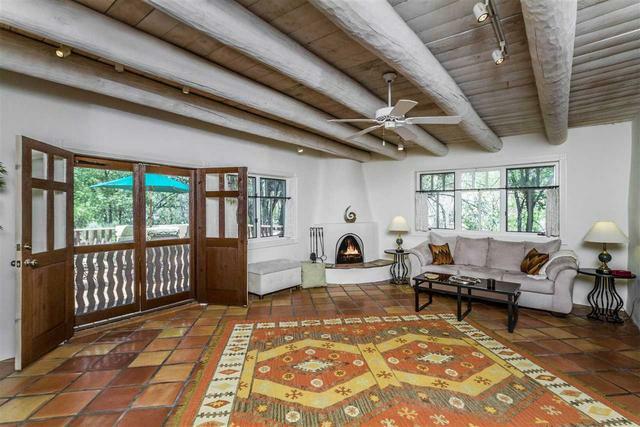 There's so much to fall in love with at 11 Rancho Magdalena - now even more with its recent price reduction. "It's truly an amazing price point for unparalleled finish and location," believes listing broker Amber Haskell. 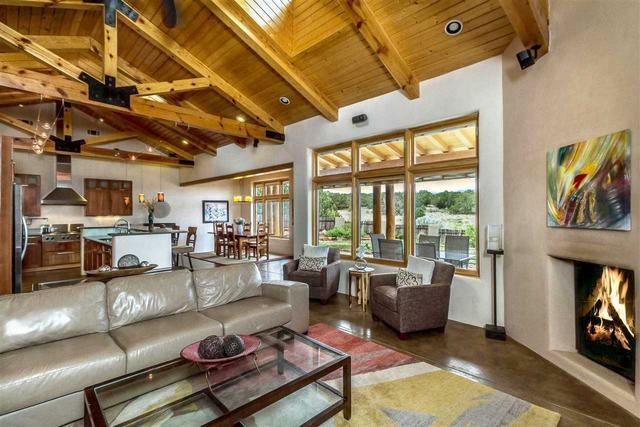 11 Rancho Magdalena is an artistically designed, exquisite equestrian ridge-top compound positioned majestically on an expansive 20 acres with 9146 sqft of living. "As you take in the sweeping 360 mountain views upon entering the brilliantly designed entry plaza," says Haskell, "you'll know you've arrived someplace special." The main and guesthouse are masterfully designed incorporating antique architectural elements and gallery style lighting to showcase any extensive art collection. Monday, July 11th, 2016 at 3:49pm. The best of both worlds come together at this adorable adobe home nestled in a convenient location! This 2 bed, 2 bath home on 0.391 acres is beautifully updated while still retaining its authentic charm, featuring both a living and family room, an updated kitchen, master bath with jetted tub and separate shower, plaster walls, wood & concrete floors, charming details such as vigas, nichos & gingerbread-style trim, and so much more. 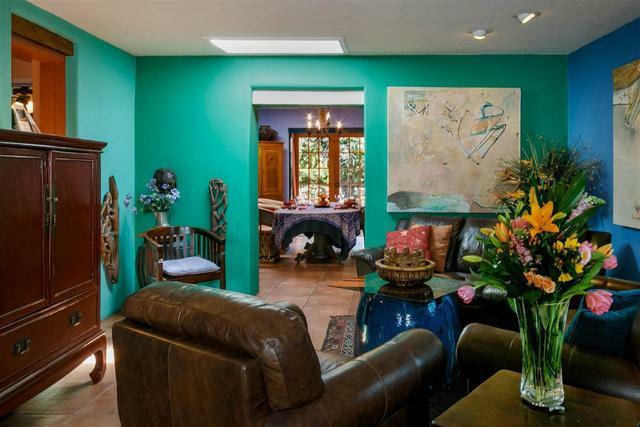 "The home is believed to have been built in 1917," says listing broker Andrea Cohen "Quite possibly as one of the oldest in the village of San Pedro." 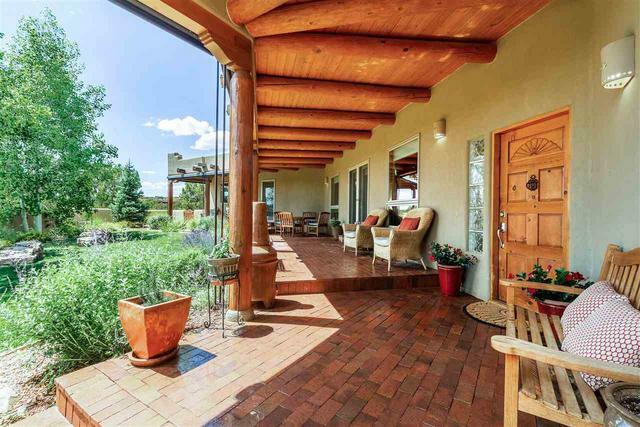 Moreover, this home's beauty is graced by the pastoral feel of the acequia that runs along the front property line. Friday, July 8th, 2016 at 6:30pm. Largest Folk Art market in the world with nearly 200 artists from 60 countries. The 2016 International Folk Art Market has gathered nearly 200 artists from more than 60 counties, and is expected to attract over 20 thousand visitors to what has become the world's largest art market. And just like every major community event in town, you'll find associate brokers from Santa Fe Properties. Friday, July 8th, 2016 at 3:45pm. 4 br, 4 ba, 3,322 sq.ft. 4 br, 3 ba, 2.5 acres, 3,204 sq.ft. 4 br, 3 ba, 2.5 acres, 2,984 sq. ft.
4 br, 3 ba, 0.03 acre, 2,491 sq.ft. 4 br, 3 ba, 0.56 acre, 2,881 sq. ft.
2 br, 2 ba, 1,355 sq.ft. Wednesday, July 6th, 2016 at 10:06am. 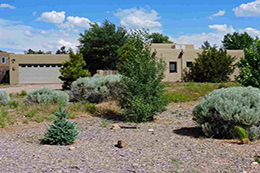 This lovely custom built energy efficient home is located in privacy on 420 acres in Stanley NM and was designed by current owners to maximize utility savings and provide panoramic views. It is solar oriented at 22 degrees and filled with over sized Sierra Pacific windows and doors providing stunning views in every direction. There is a large kitchen with granite counter tops and beautiful hickory cabinets. The floors are oak hardwood and flagstone. It is fenced and crossed fenced (electric), has a nice clean barn 36 X 60 that includes tack room and work room.